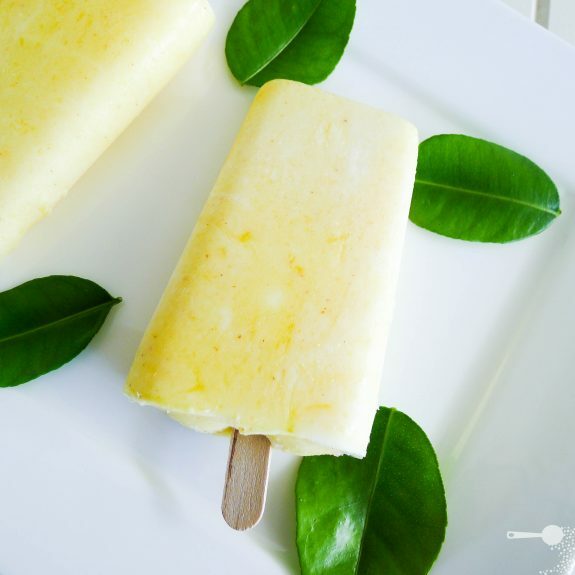 This Mango and Yoghurt Ice Pops recipe is a family favourite! Use coconut yoghurt for a dairy-free version. Eventhough we’ve had an extra day of Summer this year, 2012 being a leap year and all, the weather hasn’t been very kind to us. It’s been rainy and sometimes outright cold… until about last week when it finally warmed up for a day and started to pour again. Nevertheless, the little rays of sunshine we were blessed with yesterday and a few more peeking through the clouds today have reminded me to make the most of the season’s mangoes. Considering our pot luck with the weather, and the inevitable end to the plentiful supply of ripe, juicy mangoes as the seasons change, mango and yoghurt ice pops sounded like the right idea. Healthier than their ice cream counterparts they are low in fat and have no added sugar. To spice them up a little, I have added some coconut milk and ground cinnamon. 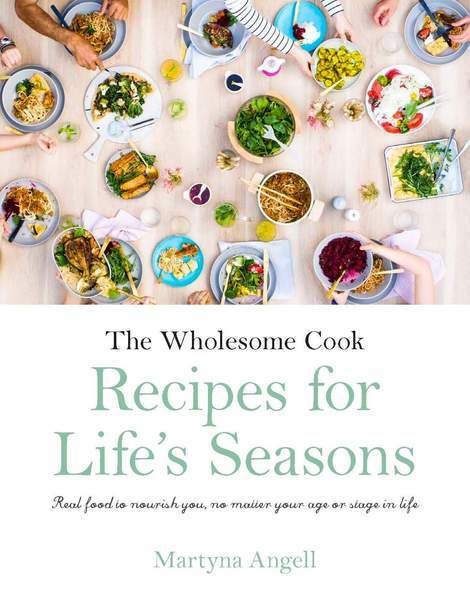 For more wholefood ice cream and ice pop recipes, check out my brand new cookbook, The Wholesome Cook, available in stores and online in Australia and New Zealand. See here for stockists or to order your own signed copy. You could use coconut yoghurt for a dairy-free version if you prefer. For a sweeter rendition, add some honey, natvia or rice syrup to the mixture. Place all ingredients in a blender and whizz until smooth. Pour into your ice pop moulds, stick a paddle pop stick in and freeze for at least 3 hours, or until set. Looks yummy! I would love a few of those even though it’s cold here. So simple! They look beautiful and tasty. These look fantastic! I am bookmarking this for the summer! These look AMAZING! Mango is in my top 3 favorite fruits for sure, and this preparation looks oh-so-refreshing! Delicious, Martyna! Oh, a breath of summer in a pop. Yum. I really wish we didn’t have snow right now, or this would be perfect. There is nothing better than a healthy, flavoursome and beautiful dessert. Your ice pops are just perfect for a hot Summer day. yummy this looks so good. Yum, these looks so healthy and delicious! Perfect for those hot days. Oh, how delicious do those look?! I cannot wait for summer and to give those a try. We love your blog and are going to follow you. Check us out at essentjewels.com and essentjewels.wordpress.com. You may enjoy some of our jewelry! I am horribly allergic to coconut but I love love mango. Any suggestions on what could substitute? You coud add some honey and pure cream instead, probably 2 tbsp honey plus make up the volume with cream. These are lovely and I LOVE mango! They sound delicious, love the addition of the coconut milk. These look gorgeous….I woul love to bring out a platter of them at party on a hot day out on he deck! How refreshing sitting out on the deck with cool wind on your face and a cold lolly. Life is good. do you recommend a specific ice pop mold? Hi Katie, no as you can see from the photos they work with many types of moulds. Just go with what you have or your personal preference. Can I use fresh coconut milk instead of the can ones?